Save Money. Win Better Terms. Find your ideal Class "A" Office Space. The Jeff Tabor Group works solely for tenants. That means we can configure smarter deals and negotiate harder on behalf of our clients to get them their ideal office space deal. Jeff understands the need for a true tenant representative. He built his career working for the other side -- representing landlords. In 1993, he recognized that commercial office tenants needed a champion – a true tenant representative. He founded Corporate Realty Advisors -- now the Jeff Tabor Group -- that very year, and since then has provided more value to his commercial office tenants than any traditional broker ever would or could. A commercial real estate broker often plays both sides of the fence – and has a fiduciary duty to make sure that he’s bringing in the most money to his firm – regardless of the interests of any one client.  At the Jeff Tabor Group we work solely for tenants, so there’s no conflict of interest. Jeff Tabor personally leads this team, and brings over 35 years of experience to the tenant’s side of the negotiating table. Adding value every day, year after year. We find great office space. Office space is the living, breathing soul of a company that closely mirrors its brand. Open floor plans, historic buildings, polished floors, modern interior designs are just a few of the building accoutrements that JTG can help your company locate and negotiate. From our three bases of operation, we’ve got Los Angeles and Orange County covered. Our three locations are just down the street from professional, Class “A” commercial office space – from Pasadena to Thousand Oaks, from Downtown Los Angeles to Century City and Newport Beach. Get below-market terms and save money. You are busy. You've got a business to run. Commercial leases are complicated, containing dozens of pages and hundreds of terms. Landlords include as many onerous terms they feel they can get away with. Landlords are counting on you not paying attention to the many dozens of “boiler plate” lease terms. Extensive protections against landlord building operating expense pass throughs. We provide hands-on care and pour over every single line of our clients' leases to ensure that they’re getting the best possible deal. No other Southern California real estate broker provides the detailed analysis and negotiating skills that you’ll experience with The Jeff Tabor Group. We save you money by negotiating away unnecessary expenses. Our clients avoid the extra operating expenses that pad your monthly bill. Let's talk about that third expense. In auditing your expenses, we frequently discover that tenants have been pre-billed and charged for expenses for which they should not be. These can include insurance, capital improvements and parking. Jeff Tabor Group clients don’t pay these extra costs, we make sure of it. Armed with knowledge and a seasoned negotiator in the Jeff Tabor Group, you don't need to pay these extra line items and you can rest easy. “You saved us over $300,000 during the first year alone on our renewal! We help you avoid costly mistakes. With over 35 years of experience, we have seen it all. We can protect you and your firm – saving you considerable money every year. We've seen all the hidden one-offs and “gotchas!” that landlords like to hide in your lease. Ever wonder why the landlord’s building operating expense bills are so opaque and so frequently hard to comprehend? Because it is meant to confuse you! Too often landlords rely on busy tenants simply glancing over the terms of an office lease without fully realizing the potential liability and financial ramifications they are signing away over the life of the lease. Working with the experts at the Jeff Tabor Group saves you money. We suggest extensive lease changes that protect you against the unforeseen and unknown issues that could pop and bite you. Your former broker didn’t do that….did they? We audit leases and win favorable terms. When was the last time you took a good, hard look at your building lease? Building operating expense pass-through protection. No other broker comes close to offering the bespoke experience you’ll get from the Jeff Tabor Group and it costs you nothing. Founder Jeff Tabor knows the tricks of the landlords’ trade because he used to sit on the other side of the negotiating table. We're experts at finding the weak points in a lease, areas where operating expenses can grow out of control, and one-offs that can significantly impact the bottom line of the tenant. We facilitate competitive bids on moving costs, phones, IT, furniture acquisition and tenant improvements. The Jeff Tabor Group has more than earned its reputation as a hard-fighting maverick. You’ll be getting over 35 years of commercial tenant experience wrapped up in a comprehensive package that will ensure you and your firm’s best interests are represented in the lease. Connect with JTG and get a free, no-obligation review of your lease before you sign it. We analyze leases and come up with over 80+ changes that will benefit you. We will engage a professional architect for you (at our cost) to help us evaluate your needs so we can shortlist the buildings that make the most sense based on your needs and wants. Why not use the landlord’s architect? But that is what the landlord wants you to do! We can furnish comprehensive vacancy/absorption studies which will help you make informed decisions about leasing or buying office space. We will provide a comprehensive build-to-suit analysis that will meet the specific needs of your company or firm. We’ll help you renew your lease and obtain the most favorable terms. Our appraisal services will look at every aspect of a building and determine a fair market value. If legal counsel is required, we can recommend one of several firms that have proven themselves to be experts in what you need. We’ll provide a comprehensive property profile that covers all information on the building such as size, ownership, etc. If improvements are needed, we can provide recommended contractors and the Jeff Tabor Group will manage the build out for you. Our comparative lease analysis services will provide you with actionable intelligence regarding your lease. Our executive summaries will provide a detailed view of the scope of the project. There’s no need to hire an outside firm to manage the construction. We’ll handle it all. Our lease negotiation services will ensure that you’re in good hands. We write financial analysis to show what’s better on a net present value basis for buying vs. leasing a building. You know what you’re looking for in an office or building – We’ll go to work looking for the perfect site that matches your needs and wants. We’ll review and carefully analyze your landlord’s building operating expenses and provide recommendations that can save you money. Need more info about a certain market? We’ll provide comprehensive market and demographic studies that will help you make informed decisions. We can help with referrals for getting your real estate refinanced. We’ll look at the comps to ensure that you’re getting the best deal possible. we GO THE EXTRA MILE FOR EVERY CLIENT, EVERY DAY.